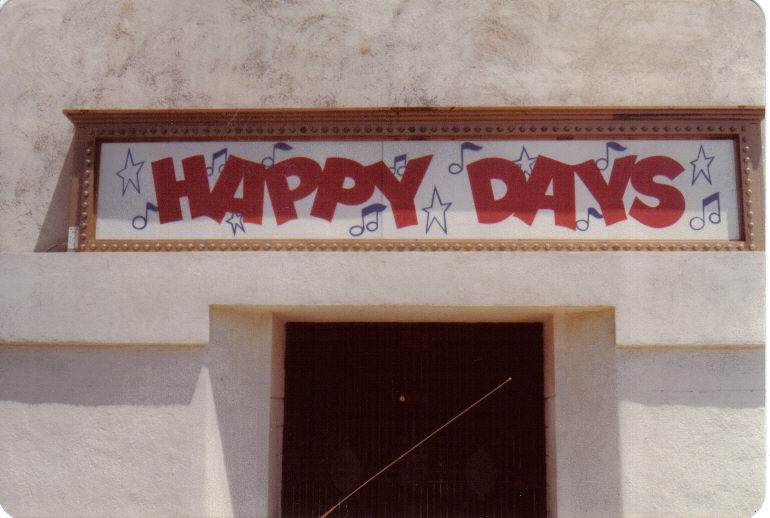 “Happy Days” marquee at Paramount studios, 1979. 37 years ago tonight, on Tuesday, January 15, 1974 the 1950s came to life on TV screens across America when “Happy Days” premiered on ABC. What many don’t realize is that “Happy Days” was first introduced almost two years earlier in a segment of the anthology series “Love, American Style.” I remember seeing the episode and the segment, called “Love and the Happy Days,” when it first aired in February 1972. Actors Ron Howard, Marion Ross, and Anson Williams were in both the segment and the series. One notable difference was the casting of Harold Gould as Howard Cunningham. 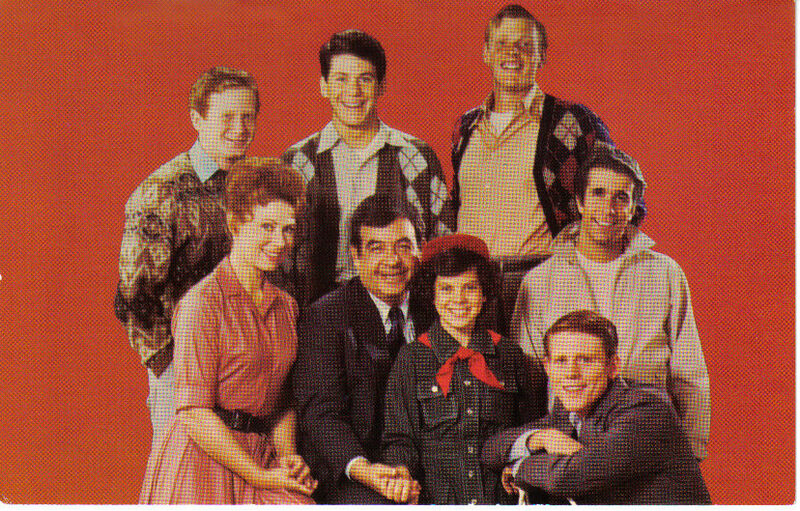 It’s easy to tell that this is a very early publicity shot from “Happy Days.” Aside from the young age of Erin Moran as Joanie, we see the Cunningham’s oldest child, Chuck. Originally portrayed by Gavan O’Herlihy, the character of Chuck was never given much to say or do and by 1975 he was unceremoniously dumped into the TV trash bin, never to be heard from again. It was like he never existed. The other clue that this is an early publicity shot is that Fonzie is wearing a cloth jacket. ABC feared that if the character wore a leather jacket he might come across as a hoodlum. 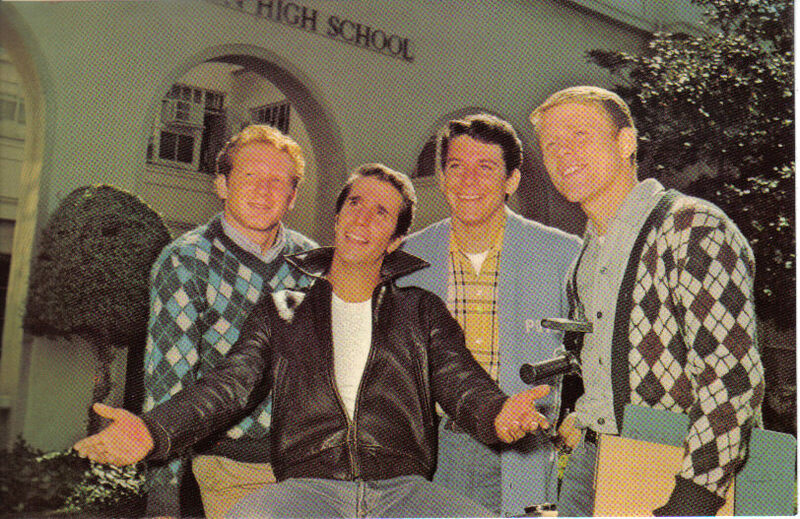 But as the show grew in popularity Fonzie wore that leather jacket and Henry Winkler became a star of the show. 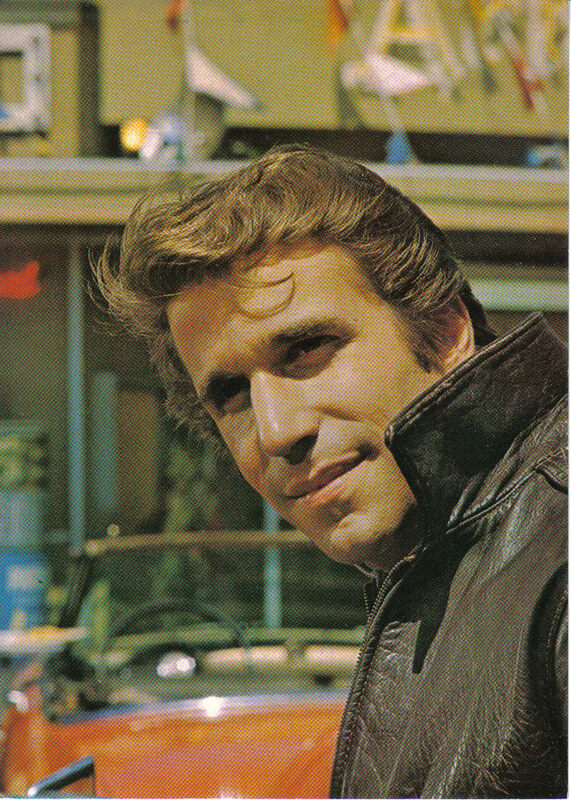 Henry Winkler as the Fonz. 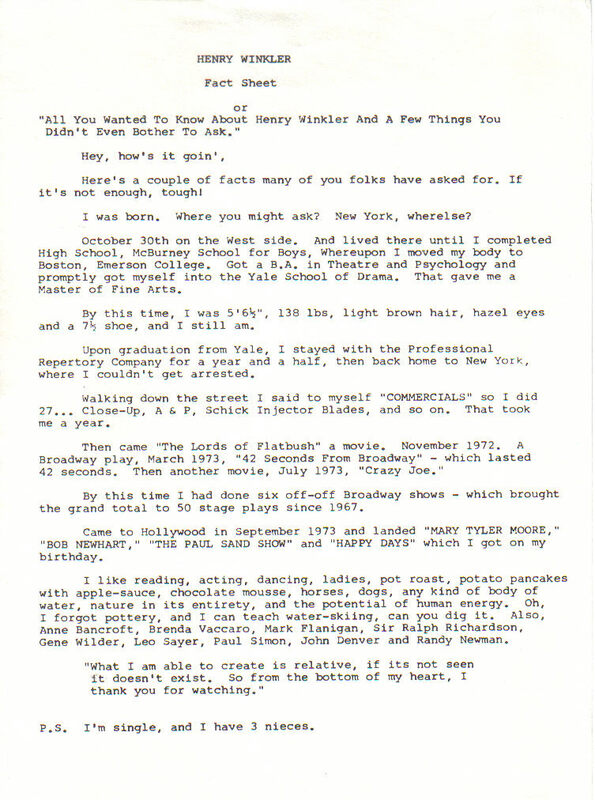 By the way, one of the writers of that first episode of “Happy Days” was Rob Reiner. In 1974 he was best known as an actor on “All in the Family” but at the time he was also the brother-in-law of “Happy Days” producer Garry Marshall.